Effective Business Management is a key objective of all Businesses. 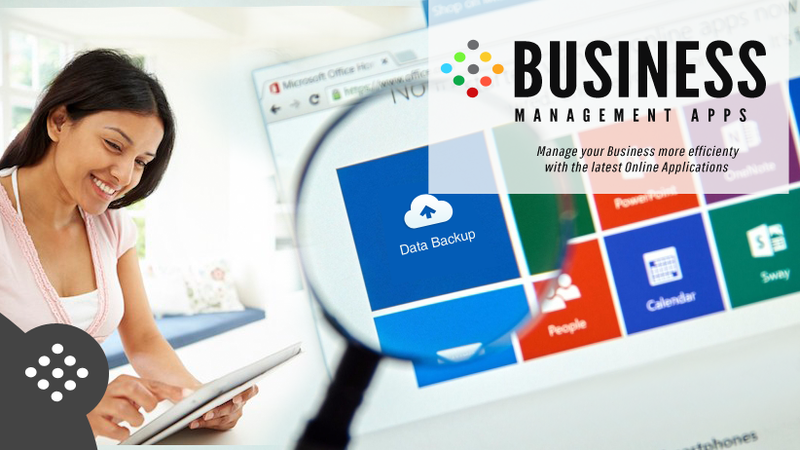 We have assembled a list of great General Business Management Apps to help you Manage your Business more Efficiently. Here are these Apps in no Particular Order. Help in the day to day management of your customers and issues with a cloud software platform that lets you create and manage tickets, share issues with for your team and work with your customers in tracking and solving the issue. 3-in-1: HD Video Conferencing, Web Conferencing and Webinar Service GoMeetNow is the only web conferencing service that guarantees the success of online meeting attendance because of its patented technology. Mouseflow is a website Visitor Tracking Tool Its tracks clicks, mouse movement, scrolls, forms, and more.It shows a recording of the activity from each visitor on your site – just like CCTV. Best of all, you can filter/segment them. ECommerce for SMB & Enterprises Hosted, Secure, Scalable platform & Payments. Its a reliable, customizable SaaS eCommerce platform offering personalized service and support. LiveChat – an application that enables the visitors on your site to chat live with your customer support. It’s a solution dedicated for e-commerce and customer care. An Email marketing solution for your Business. Create, Send, and Track Emails and social posts that look great on every Device.